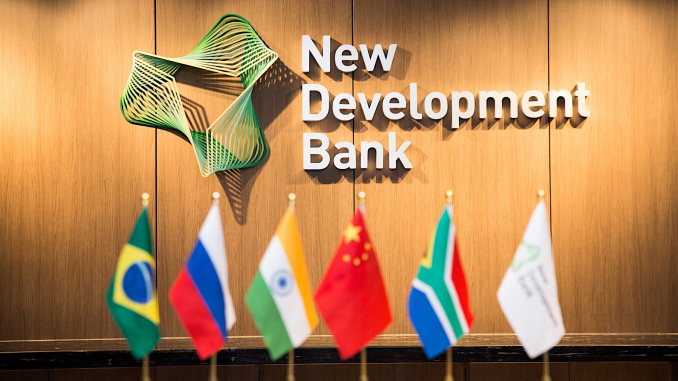 The New Development Bank (NDB), the arm of the BRICS that provides financing to the poorest countries has signed agreements with Development Bank of Southern Africa (DBSA) Eskom, the South African national electricity transmission and distribution company for development of renewable energies and the construction of interconnection lines in the southern African nation. South Africa is a member of BRICS, an association of five major emerging national economies: Brazil, Russia, India, China and South Africa. The NDB has signed a $300 million loan agreement with the Development Bank of Southern Africa (DBSA)to support the production of renewable energy and the reduction of greenhouse gas emissions. The funds will be directed to the Government’s Renewable Energy Supply Programme for Independent Producers (REIPPP). The financial institution has also signed a $180 million with Eskom to build interconnection lines. “The conclusion of this inaugural transaction with NDB will significantly contribute to the achievement of Eskom’s objectives to reduce CO2 emissions in South Africa,” said Calib Cassim, Eskom’s CFO. Posted by Emmanuel Agbenonwossi on April 8, 2019. Filed under Finance, News, Zoom. You can follow any responses to this entry through the RSS 2.0. Both comments and pings are currently closed.